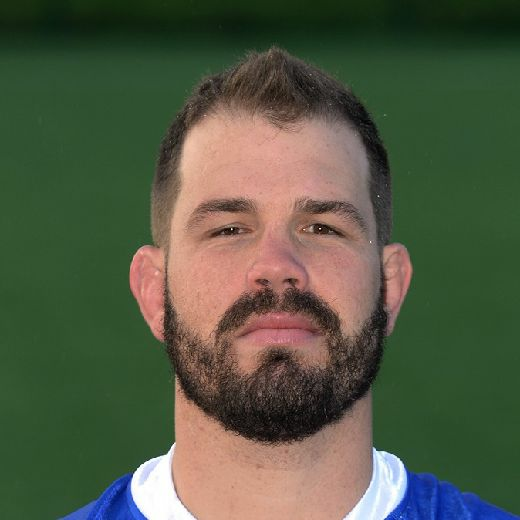 Adam Cuthbertson in training ahead of the World Club Challenge. I LOVE the World Club Challenge, but there are ways to make it better. I’d like it to go somewhere midway between England and Australia, maybe America, where we could showcase the game. Melbourne Storm lift the World Club Challenge in 2013. That would cut out all the whinging you get every year about who has got an advantage. No matter where the game is played, someone has always got an excuse. It would be great to play it somewhere neutral, then both teams are in the same boat. In order to grow the sport you have to take risks and there’s no reason why we shouldn’t take that risk and move it to America. Leeds Rhinos celebrate after defeating Melbourne Storm in the 2008 Carnegie World Club Challenge at Elland Road. It is not that far for UK travellers and it is a bit of a break and chance to get away. A lot of Rhinos fans have come out to Melbourne, which has been brilliant to see and it proves people are willing to go out of their way to support the great game. Another thing to look at is playing it at the end of the season, rather than start of the next one. Our team today isn’t the one that won the Grand Final because Magsy and Rob aren’t here – and they don’t have Cooper Cronk. The problem with that is international games, but I can’t see why – if we can squeeze it into a Super League season or at the beginning of an NRL one – we can’t just put it a week or two after the Grand Finals. Both teams might have been celebrating, but it would be both teams so there’d be no advantage or disadvantage. In 2015 we played in every final, at Wembley and Old Trafford and all competition games – and then we played New Zealand two weeks later. We managed it. I won’t lie, we had a good time at the end of 2015! We enjoyed ourselves for a good period of three or four days, we had the next weekend off and then we were ready to go again. I think if you put a trophy of such magnitude in front of them, teams will get up for it whatever the situation. They want to be playing in those big games, but at the beginning of the year the players who qualified for it might not be involved and that takes away some of the spirit of it. 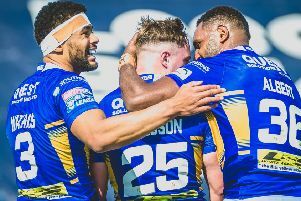 If it is two weeks after the Grand Final they still exist at the club and are around in competitive fashion and everyone’s playing for the actual World Club Challenge. The way it’s done now won’t take the shine off tomorrow’s game, but I think we’ve got to look at other ways of possibly doing it and of making it even better. That is how you grow the sport. Whatever happens in today’s game, it has been a brilliant week. We spent the best part of 30 hours in transit. Straight after the Hull KR game we went to the airport at Manchester and stayed in a hotel there, though we got zero sleep. We had the 8am flight the next day to Melbourne. It was a long journey, but some of the boys managed to get a bit of sleep on the flight. By the time we got here we had a few tired bodies and definitely some sore ones after such a slogfest, with all the defence we had to do against Hull KR. Six forwards had more than 40 tackles, so you can imagine there were some sore shoulders floating about camp. We got here, re-habbed well and were straight into it from the get-go. We had a feed together and saw a few of the sights the first day we got here, just to try and stay awake and get into the right timezone. After that we were straight into training and we have made the most of the good weather here. It’s been like a mini pre-season camp. Super League seasons are so long, when you have a bit of success you don’t end until mid-October. It’s not much of a pre-season turnaround, especially for international players. I only had two weeks’ pre-season so to fall straight back into it and try to perform at your best from the get go of the competition is never easy. We didn’t get a camp away and dry weather training, so this has been beneficial for us. We’ve had a good four days’ hitout in perfect conditions. We couldn’t do that at this time of year if we were training down at Kirkstall or Headingley.